My first online community was alt.tv.homicide, a Usenet group for fans of The Best Damn Show on Television, Homicide: Life on the Street. I've still got some friends from that group. We've transitioned to blogs or Facebook. A small subset still has a private Yahoo group, but honestly I haven't written anything there in forever. I do still love the show, and Snowman and I have been watching Season 4 on DVD today. I don't know how that became my group of people; it was mysterious. I was desperately seeking community, I guess. The group was busy enough to be interesting, but not so busy as to be impossible to follow. Hilariously, I found it the night I heard the show had been canceled. I had been watching the show for years, since before I had a computer or access to the Internet. It's a strange period in my memories. Where was I? In this house? Or the place we rented before? That's where I had my first computer, purchased in 1997 so I could take a class online at Andover Newton, when that distance learning program was in its infancy. But once you have the Internet, one thing leads to another. And I had a lot of time on my hands, or so it seemed, in that massive twenty-three hours my kids were gone to stay with their dad from Friday at 6 to Saturday at 5. I had a sort of depressingly conventional heteronormative view of the world, in which the only possible solution to my situation was another man coming along to balance the equation of my life. I didn't know how to meet people, not single people. I had been married since I was 22. And I knew that the other moms who kept me company during the week were not available evenings and weekends, when the daddies came home. At 36 I felt old and finished and unbalanced and out of place in the world. I wish I had known this me then. But who I knew were other mommies, people who felt threatened by my change of status. Because that was the worst case scenario, having the daddy leave. It really felt that way. So I was grateful to have some friends in particular who lived through the gap with me, the ones who stuck by me while I tried to figure out what to do with my life and saw me make new friends and eventually date and walked beside me along the way from 1996 to 2001. This afternoon Snowman and I ran into one of those friends in the grocery store. Our lives diverged, mostly because when I finished seminary and started at my first call, I didn't have the same flexibility for getting together regularly. Our kids got older and didn't play together anymore. Who really knows why we allow a friendship to diminish? I just know I'm grateful for her friendship then. But she's not a confidante anymore. Somehow there's too much air between us. So we talked about what our kids are doing, though I think there may have been an appraising glance at my bare ring finger. Do we all do that, middle-aged women, checking for the diamond and the circling band that signifies? Our stories feel too different now. In the middle of strife, we think about that, don't we? Who can we trust with the whole story? Who can we even stand to tell? I heard from another old friend over the weekend, one of the first new friends who came along in my single life, someone I've managed to keep up with, mostly, over the course of twelve years now. On the phone, answering her voicemail this afternoon, I knew this was someone I could talk to, still. 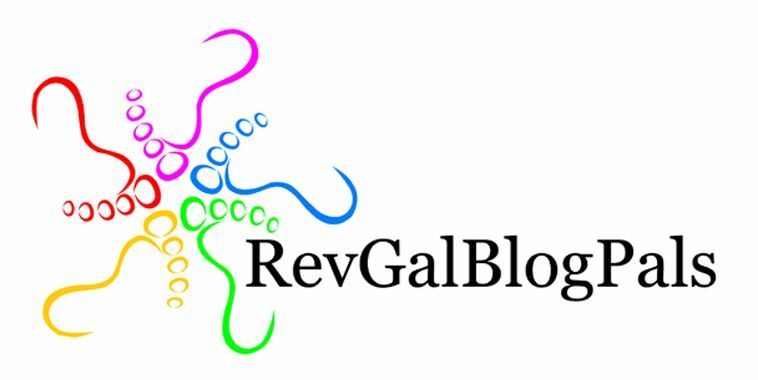 It was a funny way to reach out, but it gave me the knowledge that meeting people via the Internet was maybe okay most of the time, and that led me eventually to blogging and RevGalBlogPals and many, many other people to know and love. So I'm glad I found that little corner of the Internet on a Friday night a long, long time ago. My husband and I just had a conversation about internet friends. I have several friends, in widely divergent areas of the country, with whom I share friendship despite the fact we’ve never met in person. It is similar to the friendship I shared with my penpal (remember penpals???) from Queensland Australia. I never met her in person, and we did eventually stop writing to each other, but during the 7 years we did write, we did enjoy the gift of friendship. And I have a dear college friend. Our relationship has changed as our lives have diverged, and we might go a year without contact, but the minute we reconnect, it’s as though we’ve never lost touch. Hi there I am one of many single fathers and I find your site very interesting. I hope I have much time each day to drop by and check your site for recent post. By the way thank you for sharing this. I connected to this one via making community around Homicide, which I still think is the best show ever to be put on network television, and I literally watched it religiously. I was in a shabbat group that met for four years and after sharing our deepest Stuff over dinner, we ended our Friday nights together watching Homicide, and they remain my chosen family.